Rent Control Expansion: Will It Divide Democrats? 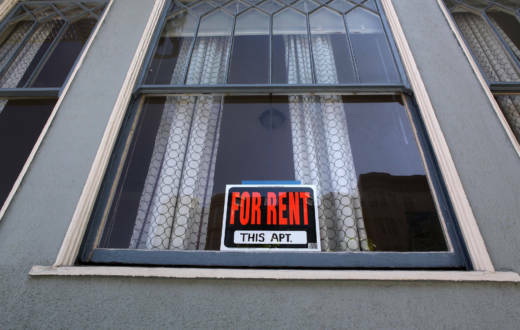 Landlords, tenants, business groups, and organized labor are gearing up for an expensive fight over Proposition 10, the November ballot measure that would allow California cities to expand rent control. The debate over whether to repeal the Costa-Hawkins Rental Housing Act is also shaping up to be a wedge issue between Democrats in the state. Delegates on the state Democratic Party's executive board endorsed Proposition 10 this month, and the issue of rent control has galvanized liberal voters nationwide. But many Democrats in the state, most notably gubernatorial frontrunner Gavin Newsom, would rather see reforms to Costa-Hawkins, the 1995 law which limits the ability of cities to pass new rent control laws. "Getting rid of these protections overall may have unintended consequences on housing construction and production that could be profoundly problematic," Newsom said at a housing conference in March. A spokesman for Newsom's campaign confirmed that the Lieutenant Governor is opposed to Proposition 10. Rent control is unlikely to be a touchstone issue in the governor's race, in which Newsom's opponent, Republican John Cox, also opposes the repeal of Costa-Hawkins. But Proposition 10 could loom larger in races where two Democrats are squaring off, where more moderate candidates will try to avoid angering voters on the party's left flank by opposing the initiative. "It's certainly a challenge for more moderate leaning Democrats to make the argument against Prop. 10," said Democratic consultant Brian Brokaw. "But the trick is separating the general support for rent control from the concept of Proposition 10." That's the challenge facing Buffy Wicks, a former advisor to President Barack Obama, who is running for State Assembly in the 15th District, which includes Berkeley, Richmond, and parts of Oakland. Her opponent, Richmond city councilwoman and fellow Democrat Jovanka Beckles, is hoping to make rent control a central issue in the campaign. Beckles said she hopes to follow a similar strategy to past campaigns in Richmond, where progressive candidates ran on opposing a local casino, enacting rent control, or boosting the minimum wage. "The thing that really helped us to get the message out was tying our campaigns to issues," Beckles said. "In this race for state Assembly I believe that supporting the repeal of Costa-Hawkins is an issue that the majority of people want." Before the primary, which she won handily, Wicks said she was opposed to the full repeal of Costa-Hawkins, over concerns that it would discourage new home building. She held out hope that lawmakers in the state capitol would be able to avoid an all-or-nothing ballot battle, and instead reform the law. Now that repeal is on the ballot, Wicks is not taking a position on the measure. "We'll see what the voters decide in November," she said in response to questions about her stance on Proposition 10. "If I get this job and I go to Sacramento I will work to ensure that our renters in this district have the protections they need to be supported," Wicks added. In an election in which Democrats are hoping to turn out voters to flip Congressional seats and keep the statehouse blue, rent control could be a magnet to get liberals to the polls. "There's a lot of interest from activists in the party to see Proposition 10 pass," said David Campos, chair of the San Francisco Democratic Party. "That energy will be used to help Gavin Newsom get elected governor, it will be used to make sure that we take back the House of Representatives." The Proposition 10 campaign will need to solidify more Democratic support over the coming months, as they face a "No on 10" campaign that will likely have more funding than supporters of the measure and the unified backing of state Republicans, who generally oppose rent control. The "Yes" campaign could try to rally Democrats in opposition to its biggest financial opponent, Orange County developer Michael Hayde, who has already spent $3.7 million against Prop. 10. Hayde is a longtime Republican donor who gave $12,500 to Donald Trump in the 2016 election. In a statement after the party's vote to endorse Proposition 10, party chair Eric Bauman chose to focus on Hayde, and not any policy divisions within the Democratic ranks. “The questions surrounding contributions from Trump supporter Michael K. Hayde to No on 10 clearly influenced the Democratic Party’s endorsement for Prop. 10," he said. It remains to be seen if Hayde's involvement, as well as the apparent disunity in the "No" campaign (two different groups of developers and realtors have formed separate committees to oppose Proposition 10) will provide a boost to the supporters of the measure. Brian Brokaw said the "Yes on 10" campaign, led by the L.A.-based AIDS Healthcare Foundation, will have to focus its energy on unifying as many Democrats as possible behind Prop 10, given the historical success of "No" campaigns in general. "I would be surprised if ultimately this turns into a debate over who is funding each side," he added.